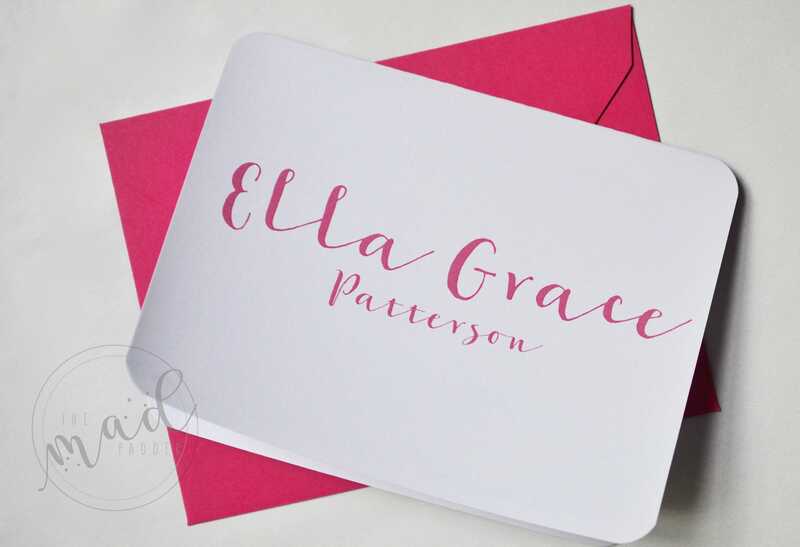 These Ravishing Note Cards are the perfect way to write a note to someone special! 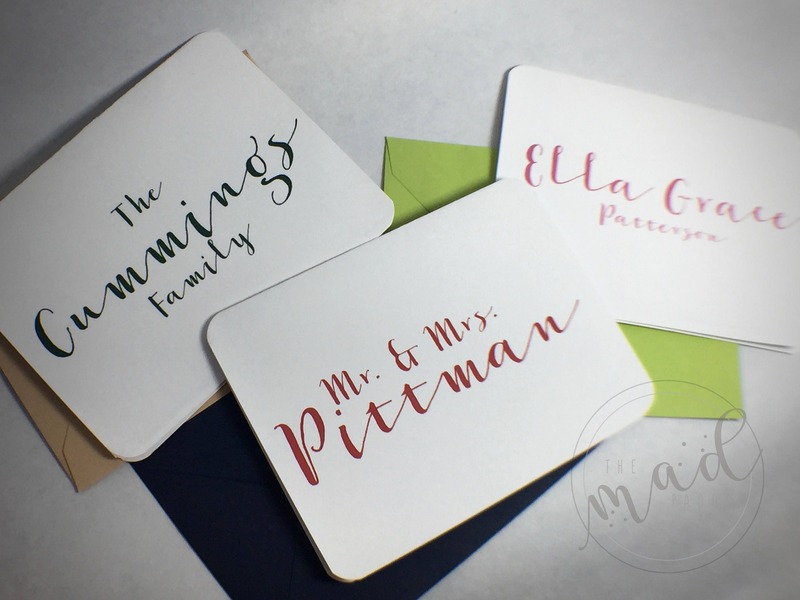 Ten cute, custom, & matching note cards, with your choice of wording, font color, and color of envelopes. 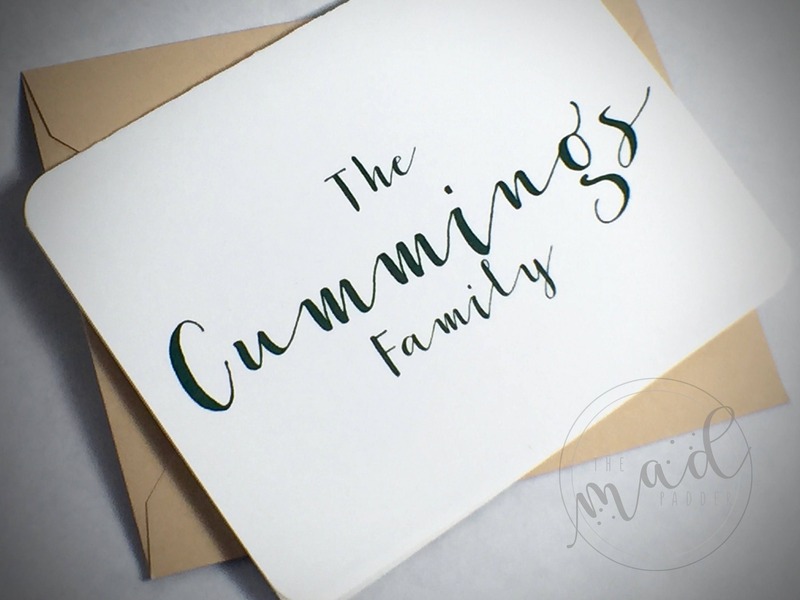 Each note card is printed using the Ravishing font with rounded corners, measuring 5 1/2" wide x 4 1/4" tall and printed upon 110 lb. white card-stock. 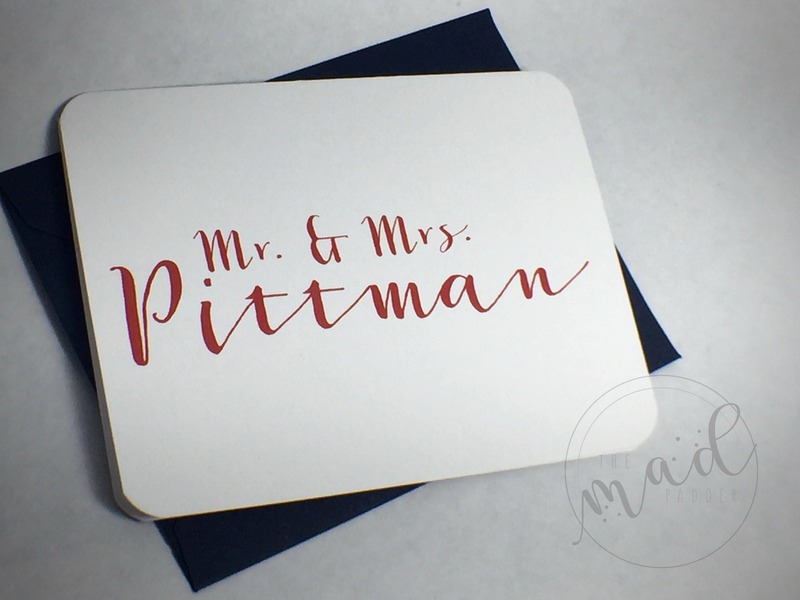 Ten high quality, matte finish envelopes are included that are constructed with acid & Lignen free, archival paper. 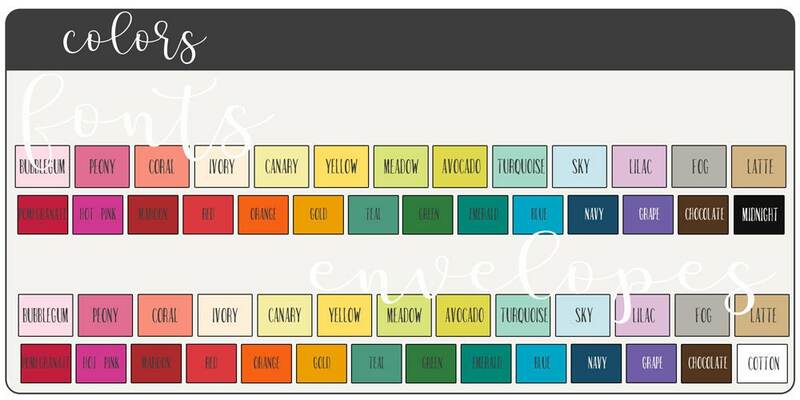 When ordering, please view the image depicting your color choices. Choose font color and envelope color from the drop down menu. Then enter the personalization in the comments section. You may copy and paste this format if easier. If you would like to forgo one of the lines, please let me know in the comments section with your instructions.